Do you have an Understanding of Google Analytics? 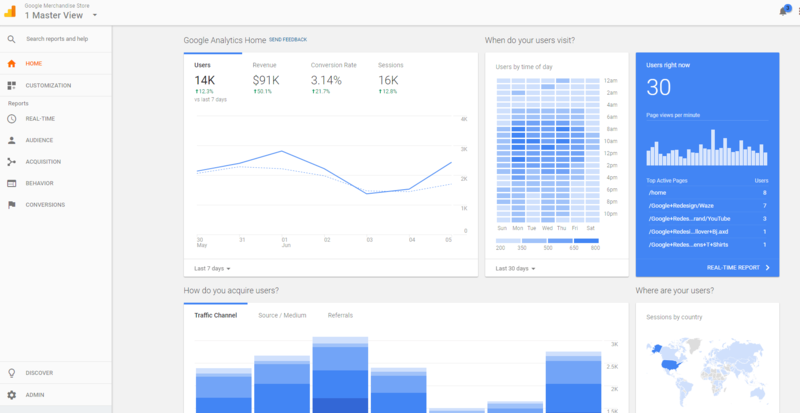 What is a dashboard in Google Analytics anyway? Is it installed on your website? When was the last time you looked at your Google Analytics account? Do you shy away from looking at Google Analytics because you find all that “data” just too much?? It’s time to finally get a good understanding of Google Analytics, so you can better serve your audience. 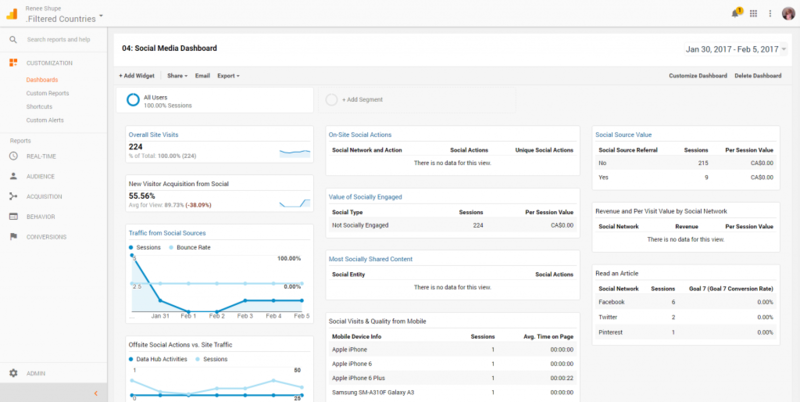 At its most basic Google Analytics is a reporting tool that can tell you what’s happening on your website. It can tell you which blog posts are being read the most, where you’re getting traffic from (called referrals), how long visitors are staying on your website and you can even track how many people sign up by using the goal feature in Google Analytics. Understanding Google Analytics and what you find in your account can help you figure out what content is popular, which then helps you figure out what you should write about next. Google Analytics can even tell you what your visitors are (or not doing) on your website. After you have registered for an account, you’re provided a snippet or piece of code that you or your web developer can install on your website. 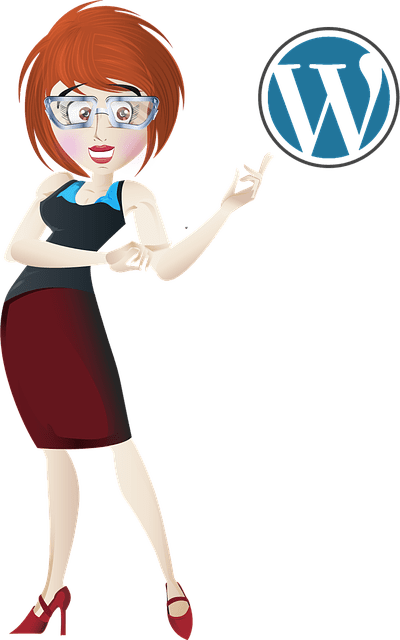 If you are using WordPress you can also use a plugin to help install the piece of code. Once this code is installed data is then sent back to your Google Analytics account which is then recorded for your to view. You can usually see your first results within 24 hours if everything is installed correctly. Getting your account set up is pretty simple once you know how. Go to Google.com/Analytics and login with your Google Account. Next you’ll want to install the code snippet to your website. You can copy and paste your tracking code into your header.php file. Place it before the <head> section, and after the <body> tag. Please only attempt this if you are very comfortable handling code, as an error here could cause problems with your website. Or you can install a plugin like Monster Insights to help with the process. Once you have your Google Analytics account setup you usually want to dive in and see what it has to tell you, but you’ll need to wait for about 24 hours before you can really dive in. At this point it is so incredibly easy to fall into overwhelm, confusion and a few other choice feels too. There’s so much information and understanding Google Analytics’ data can seem like too much. Super powerful, I’m still learning as I go. There’s lots of new terms when you start poking around in your Google Analytics account, so it’s probably a good thing to share some of the key terms you should know. Bounce rate – Expressed as a percentage, how many visits to your website end after a visitor views only one page. These are called single page sessions. Content experiment – This tool allows you test different versions of your web pages. It tracks how many completed activities (referred to as Goals) a page is successful in achieving. Conversion rate – When someone reaches your website, you want them to do something, such as join your email list or buy a product. When your conversion rate is high for a particular page, your marketing is working properly. It is expressed as a percentage. Cookie – On the internet, a cookie is a small piece of textual data stored on someone’s browser when they visit your website. Cookies help provide all of the important traffic data that GA creates. Custom reports – Google Analytics allows you to select particular pieces of information to create customized reports. This lets you process traffic information in a way that is relevant to your goals. Dashboard – This is the first thing you see when you log into your GA account. Goal – Whatever type of business you are running, you have specific goals in mind. In the GA system you can set up reports and Content Experiments that report how successfully your intended goals are being met. This is expressed as a Goal Conversion Rate. In-page analytics – This shows exactly where on your website people are clicking. Keywords – These are the words and phrases which lead web surfers to your site. Loyalty – This represents how many times an individual user revisits your website over a specified period of time. Page views – How many times a web page has been viewed. Property – The word property refers to a website. You may have one or more properties associated with a Google Analytics account. Session – The time between when someone visits your site and leaves is considered one session. Traffic – This is the total number of visits to your site. It includes new users, repeat visitors, as well as organic and paid traffic. Unique Sessions – Every time someone visits your site for the first time, they are tagged as a unique visitor. Cookies are stored in that individual’s browser so you can track how many times that particular visitor returns to your site. Alright! Now that you’re expert with understanding Google Analytics terms, what do you do now. While interesting to look at you’ll want something that will give you a bit more information than just your Sessions, Users, and Page views. A dashboard in Google Analytics is a page that you can customize with the statistics and data that is most important to you. You can add up to 12 widgets of information to each dashboard giving you a focused place to see what’s quickly happening with your website. At quick glance this dashboard gives me an overview of how visitors are finding my blog, what my most popular posts are, how many goal completions I have (these are my optins), and who’s linking to me. An important element of your SEO strategy is ensure that your website is running optimally. 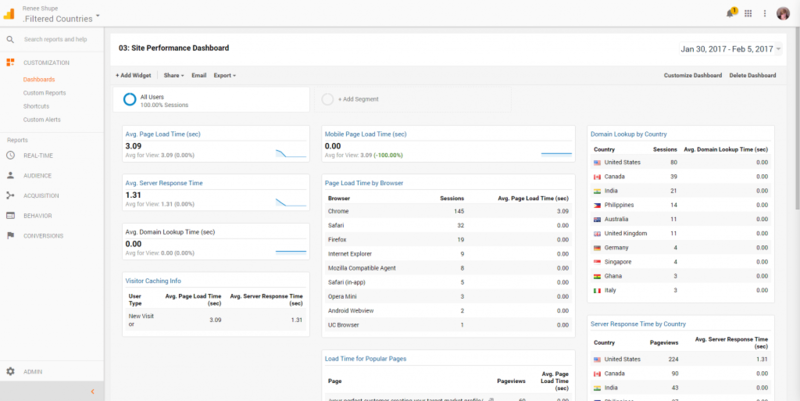 This dashboard gives me an idea of how well my site is doing in terms of load times, where visitors are coming from and even response time based on a country. If something isn’t working correctly, I can learn about it here and take action as a need to. Using this dashboard I can discover what might be working in terms of my social media traffic. This is a fairly new dashboard for me, so I’m working on gaining data for this report to make it of full use. At the moment, I can easily discover how many new visitors I’m gaining from social media and where they are coming from. Another way you can get more out of Google Analytics is to set up some goals that can be tracked in your account. There are certain things you are trying to achieve with your online business and creating some trackable goals is a simple way to monitor this. I’ll say I haven’t use content experiments too much yet, but a content experiment helps you to test the effectiveness of different pages. A content experiment works in partnership with any goals you set. This type of experimenting is called A/B testing. For example, you may have a landing page that is converting email list subscribers at 5%. This means that 5 out of every 100 visitors to that page sign up for your email newsletter. When you’re getting started with Google Analytics the dashboards I share, give you more than enough information to beginning focusing your marketing efforts in the right direction for your brand and blog. Look at how much traffic you’re getting. Do you receive more traffic on a particular day of the week, does it come in the morning or afternoon? Where is your traffic coming from? Is it coming mostly from Facebook or Pinterest? Or is it organic? Are they finding you through a search. Knowing this can help you determine how you should deliver your content. Social networks, likely means they are doing a more casual & reactive approach to the knowledge they are looking for. Organic search lets you know they are look for some specific information. Same goes with the countries your traffic is coming from? What kind of cultural differences are there that might affect how your visitor interacts with your blog. What are your most popular pages or posts? These pages are virtual gold mines. Look at them closely. Are they funny, or serious. More of a tutorial, or simply knowledge. Light-hearted or business like? Answers to all of this gives you an clear idea of how you should model additional posts. What types of topics do this posts cover, what problems? Create more content like this. I cover all of this in my Blogger’s Guide to Google Analytics, but also consider who is referring your traffic, how long a visitor is staying on your site, are they using mostly a desktop or it a lot of your traffic from mobile and check which pages are converting the most for you. Understanding Google Analytics can be daunting, even for veteran online business owners. Don’t get discouraged if it seems overwhelming at first. Like any other tool, frequent use increases your aptitude and ability. Spend some time each day, even if it is only a few minutes, logged into Google Analytics and familiarizing yourself with the system. If you never progress past the GA reports, Content Experiments, and Goal tracking features of this business tool, you can still achieve a lot with Google Analytics. 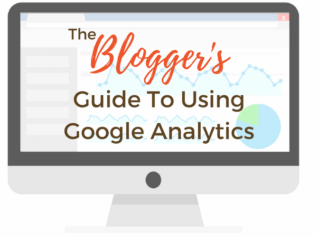 Grab a copy of my Blogger’s Guide to Google Analytics to get access + additional training to help you become your own Google Analytics expert!